Machin 2014 is not finished yet - 2p M14L now available. Perhaps the year still holds more surprises for collectors of Machin Security stamps, as another low value reprint has appeared. 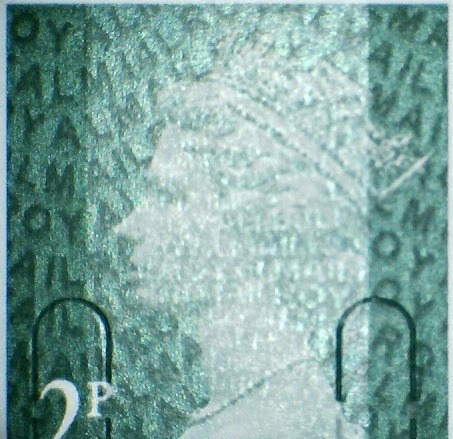 Not reprinted in 2013, the 2p was first issued without an overprint, but with security slits, in 2011. 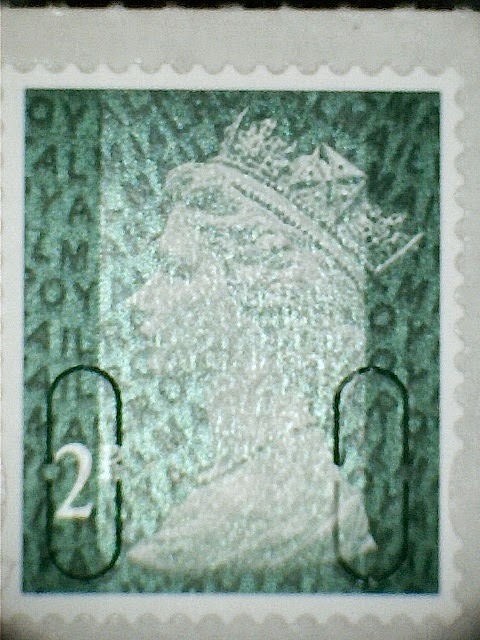 When the 1st class red and other palette changes were issued at the beginning of 2013, all the low value stamps were issued with M12L codes. 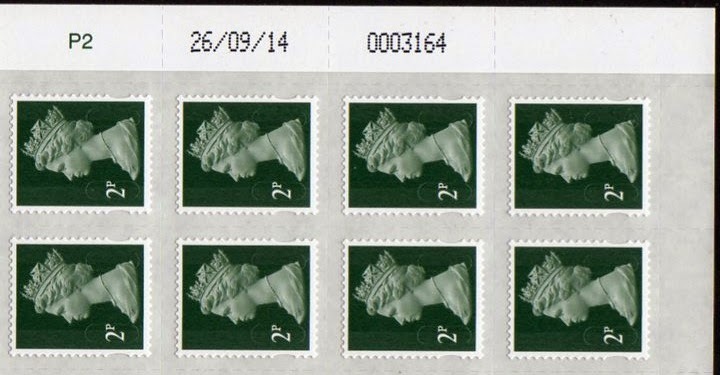 The 10p and 20p have already been reprinted, but now we have the 2p, reprinted on 26/09/14 with code M14L. This is available in our shop from today.